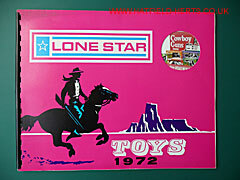 Not as famous as Matchbox or Hornby but a major force in the toy industry with an extensive product range, Hatfield was once the headquarters of toymakers Lone Star. 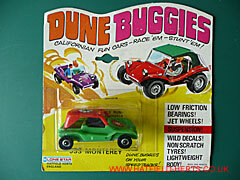 The company started life in Palmers Green in North London, and only started making diecast vehicles after the war. At its peak the company, originally called Die Casting Machine Tools (DCMT), had three factories – its head office and one of the factories were based in Hatfield. 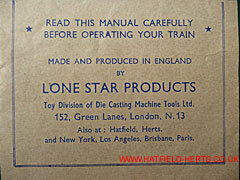 Lone Star was the name of its toymaking division but its success led to the company adopting this name. The company correctly honed in on the post-war cowboy craze and developed a range of toy pistols, shotguns, rifles and holsters for the children. They even hired their own 'cowboy' Steve Larrabee (real name Roy Green) to promote their products with a Wild West show. 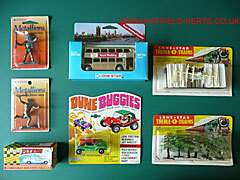 Its not always possible to state definitively which toys were made in Hatfield, as experts say that some lines could have been cast in one factory, painted in another and boxed in the third. The arrival of video games gradually put most traditional toymakers out of business. 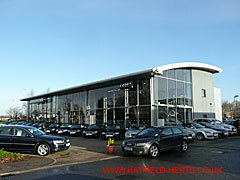 Lone Star first closed their Palmers Green plant, then Welham Green and finally Hatfield in June 1988 (it opened in 1956). The buildings that housed the Lone Star headquarters and factory were later demolished. Although the physical signs of the Lone Star buildings have disappeared, the Welwyn Hatfield Museum Service houses a number of Lone Star documents in their archives at the Mill Green Mill and Museum, Hatfield (please note: the archive is not open every day, so if you want to see them it is advisable to check in advance of your visit). 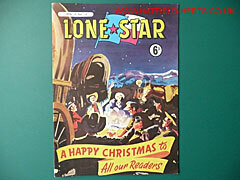 Lone Star comic (Vol.2, No.2) – last edition for 1956, the year the Hatfield factory was built. 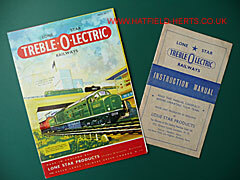 Treble-O-Lectric Railways catalogue and instruction manual – Lone Star first released their Treble O Scale (OOO) trains in 1957. The instruction manual is probably older than the catalogue. 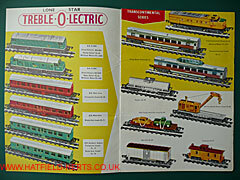 Treble-O-Lectric Railways catalogue – inside view of the catalogue showing some of the product lines. The catalogue is actually a single sheet of paper folded into eight panels. Treble-O-Lectric Railways instruction manual – close up view of the bottom of the cover. 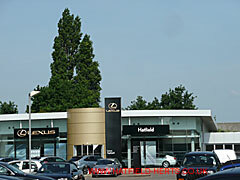 Mentions the Hatfield operation and locations of overseas offices / agents: New York, Los Angeles, Brisbane and Paris. 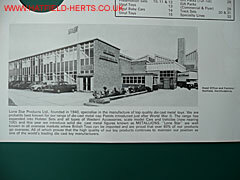 Lone Star 1972 trade catalogue – the inside cover has a picture titled: 'Head Office and Factory: Hatfield, Hertfordshire'.